The girliest dress I have ever made! This is the eleventh time I have used Burda 9750 to make a baby/toddler dress! (You can see all my previous versions here). I love the simplicity of the pattern and how different it looks every time according to the trim and the fabric chosen. 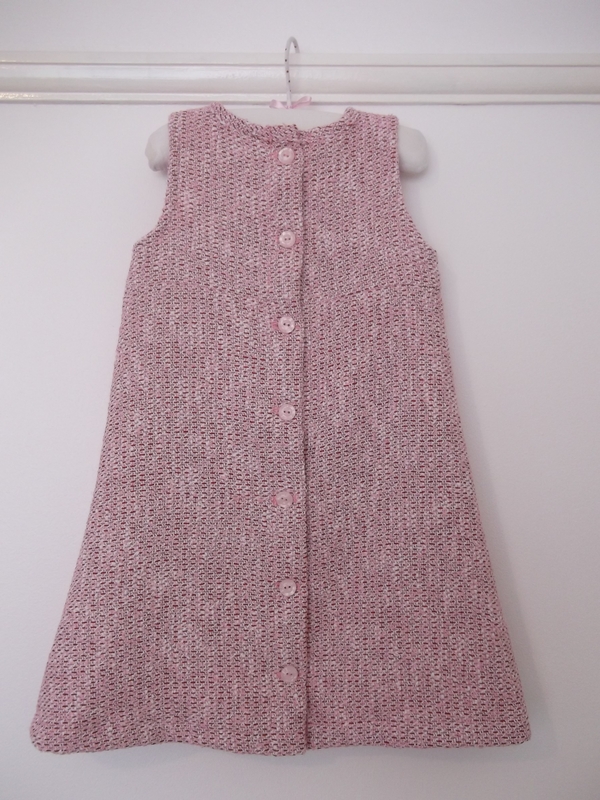 I had to blog about this version, though, because I reckon it is the girliest dress I have ever made for Little Tweedie. It is pink. It has sequins. Need I say more?! Little Tweedie is growing up fast so this dress is age 3-4 years. The fabric I used is the wonderfully luxurious and, rather expensive Linton Tweed, which is well known for being a fabric supplier to Chanel. I first used Linton Tweed on my S.E.W. Naughty Secretary Skirt below, and I was pleased to find it on offer again at the Sewing For Pleasure show earlier this year. My Naughty Secretary Skirt, made with Linton Tweed. Also pink. 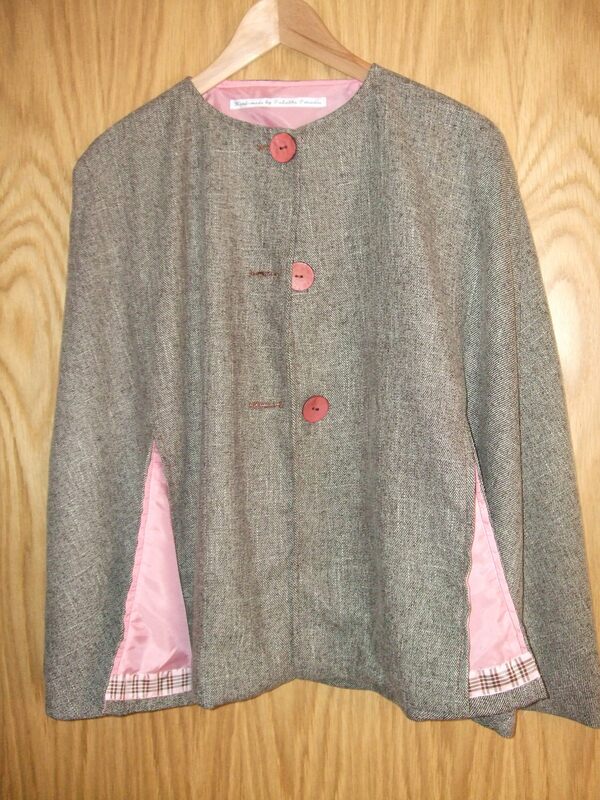 Maybe I have a pink tweed problem. 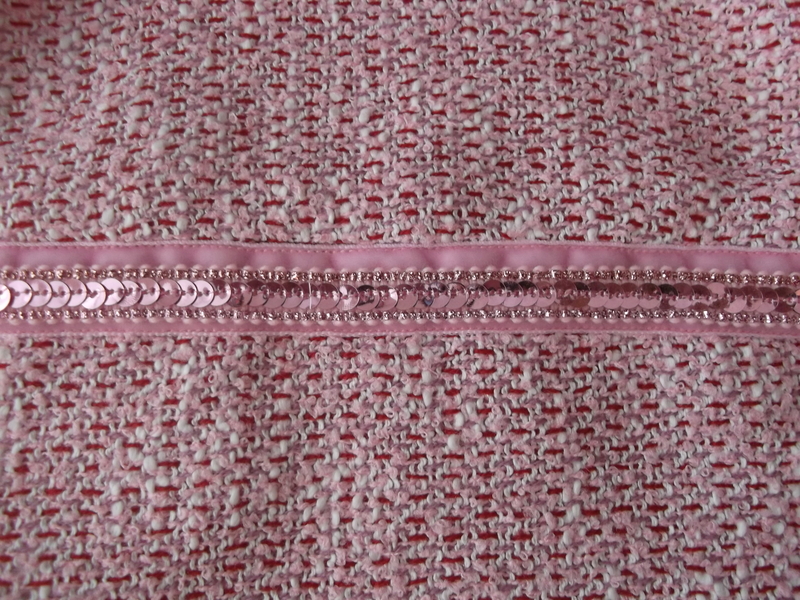 A loose-weave tweed such as Linton Tweed needs underlining to give it stability, and I just so happened to have some pink lining left over from making my S.E.W. Cape – another project from the same book as the Naughty Secretary Skirt. For the trim, I wanted something tactile and luxurious. 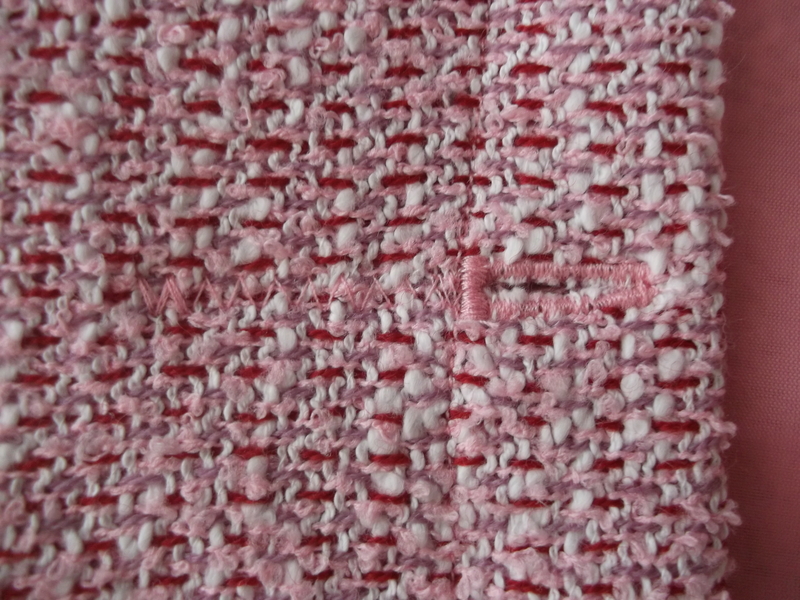 I envisaged red velvet, or white, to de-pink the dress slightly and to complement the less dominant colours woven into the tweed. 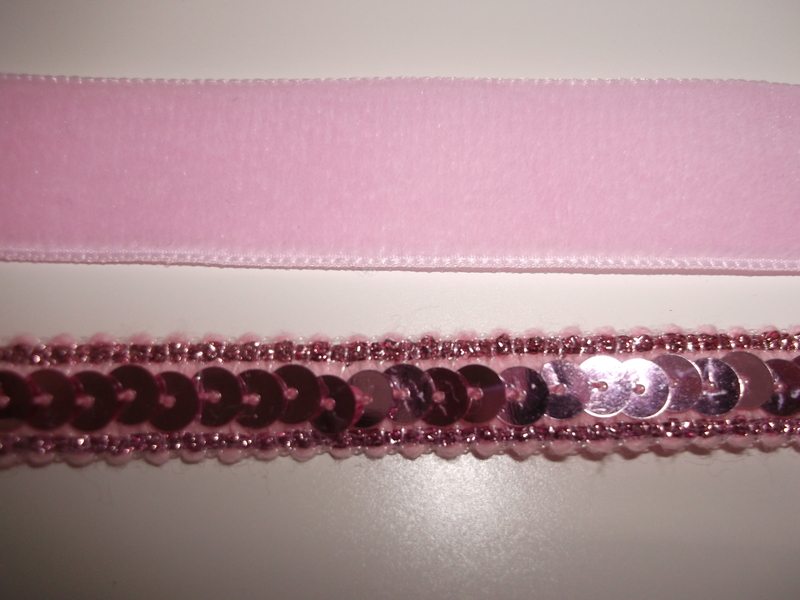 But when I went looking, I fell in love with this pink sequin trim, and decided to combine it with a pinkety-pink velvet ribbon! You’d think having made ten versions of this dress already I would find it easy to sew, but I did have a few problems. Making the binding for the armholes and neckline was incredibly tricky with the tweed, it’s such a loose weave that it frays immediately because the binding only seems to be about six threads wide, but I was able to force it into submission. It’s also the first time I have underlined this dress. The technique was simple enough, but it just took longer and demanded a little more precision. The most irritating thing to happen though was when I was opening up the button holes. I had my pins at either end to stop my unpicker from slashing the fabric open, but somehow one of the pins didn’t stop my unpicker and I slashed through an inch or so of the dress and the lining!!! What a bloody disaster!!! I reinforced the button hole and then used zig zag stitch to hold the slashed fabric together. With the tweed being so textured you can’t tell from a distance and I don’t think it will affect its wearability, but it is annoying all the same! So, what do you think? Perhaps not the girliest dress ever, but certainly the girliest I’ve ever made for Little Tweedie! I think she’d look really cute wearing it with woolly tights and a beret. As long as they weren’t also pink. Very cute! I love the buttons down the back. And you can’t see the rip at all. I’ve so done that before. Thanks Liza Jane! So annoying when it happens – I’ll have to be extra careful next time I’m doing button holes! How sweet! This looks gorgeous!